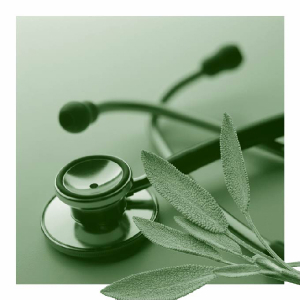 The name Naturally Healthy Family Medicine reflects our mission as well as the service we provide to our patients and community. In our practice we help individuals and families to become and stay Naturally Healthy using homeopathic medicine and other natural methods such as herbal remedies, nutritional supplements and sometimes, dietary or lifestyle changes. We establish partnerships with our patients with the shared goal of optimizing each person’s health in a holistic way. In the realm of sporting activities, we characterize certain individuals as “natural athletes”…those innately gifted with quick reflexes, excellent coordination, superior skills and great instincts for a given sport. It’s true, that these people are born with the potential to succeed as athletes. But they also devote time to practicing in order to strengthen their innate abilities and ensure their success. In the realm of health, we all know certain individuals who seem to enjoy being “naturally healthy”… those who rarely pick up the cold or flu that’s going around, have no chronic ailments, look well and live an active and fulfilling life. In the “old days” these folks were said to have “a strong constitution.” Consumers of homeopathic medicine work with their health care providers to achieve constitutional change and increase their innate balance and ability to heal, which tends to make them less susceptible to illness and healthier overall. Helping patients, in a holistic way, to achieve this kind of constitutional change has been Dr. Hall’s mission since the day he founded his practice. Family Medicine speaks to the scope of our practice. Dr. Hall completed a full three-year Family Practice residency (including clinical training in internal medicine, pediatrics, obstetrics and gynecology, psychiatry and geriatrics) after receiving his medical degree from the Jefferson Medical College at Thomas Jefferson University in Philadelphia, PA. He then became board certified in Family Medicine. (See his biography at About for more information.) Dr. Hall views each person he treats within the context of their family and social environment. He also provides medical evaluation and care for each member of the family, from the youngest to the most senior. As a family physician, he offers comprehensive and continuing care and treats those with acute and chronic health conditions of all kinds. Though Dr. Hall was trained in conventional medicine, he learned early on in his career the benefits of seeing and treating his patients holistically and using natural forms of treatment whenever possible. If you are interested in health care with this approach for yourself or your family, we welcome you to call us to make an appointment with Dr. Hall. Also, if we can answer any questions you may have about homeopathy or what to expect when you come in for a visit (or about anything else related to your health care needs), don’t hesitate to call us. We answer lots of questions every day and we are happy to help you!